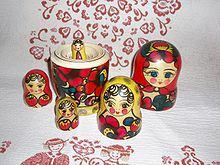 The Russian Soviet Republic was proclaimed on 7 November 1917 (October Revolution) as a sovereign state and the world's first constitutionally socialist state with the ideology of Communism. The first Constitution was adopted in 1918. In 1922, the Russian SFSR signed the Treaty on the Creation of the USSR officially setting up of the Union of Soviet Socialist Republics. The 1977 Soviet Constitution stated that "Union Republic is a sovereign [...] state that has united [...] in the Union" and "each Union Republic shall retain the right freely to secede from the USSR". 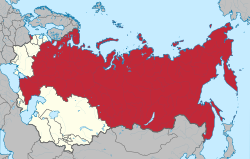 On 12 June 1990, the Congress of People's Deputies adopted the Declaration of State Sovereignty, established separation of powers (instead of Soviet form of government), established citizenship of Russia and stated that the RSFSR shall retain the right of free secession from the USSR. On 12 June 1991, Boris Yeltsin (1931–2007), supported by the Democratic Russia pro-reform movement, was elected the first and only President of the RSFSR, a post that would later become the presidency of the Russian Federation. This page was last edited on 21 April 2019, at 15:36 (UTC).